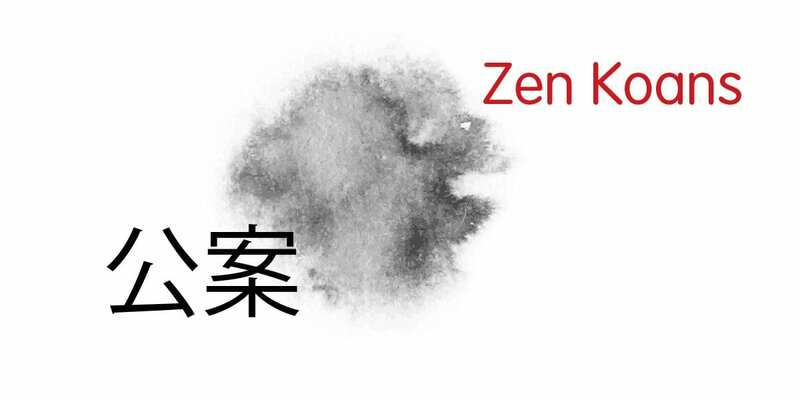 Zen teachings are so deceptively easy, that the novice is likely to wonder what the fuss is all about! Indeed the most fascinating aspect of this “wordless tradition” is its extraordinary purity of concept, a deep simplicity that immediately appeals. 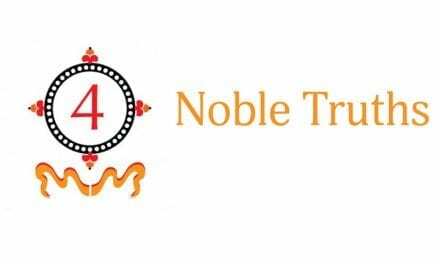 No traditions or rituals associated with other branches of Buddhism. 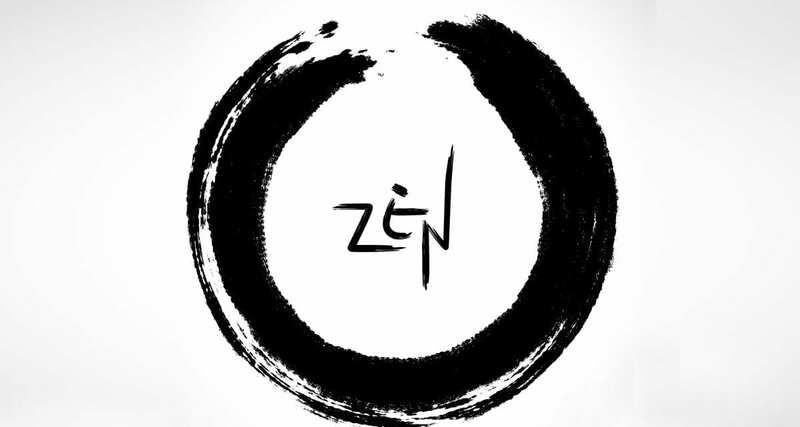 So what does Zen have to offer us? What if you had a toolkit for living – a torch to help you see through darkness, a trusty sword to slash through jungles of illusion, fear, and negativity, a soothing balm to heal the cuts and wounds of hate and bitterness? That, in essence, is Zen. Suffering is rooted in your own mind. It does not have to be so. All Zen teachings flow from this basic principle. These are some intrinsic concepts in Zen teachings. 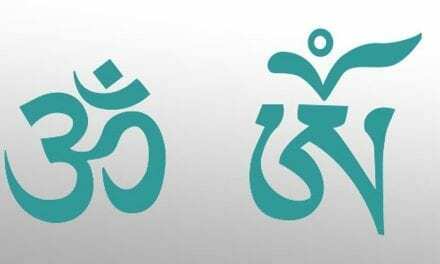 Satori is Zen’s spiritual goal, often likened to a brilliant flash, a moment of tremendous clarity that dawns upon the practitioner, revealing the Truth – that we are creatures of joyful spirit, at once human and one with all of the creation. Jiyu is the sense of freedom (or self-reliance) that pervades your being when the ego has been tamed. Shokokakkya is to shine the light, metaphorically speaking, into the ground under your feet, wherein the truth about you lies. 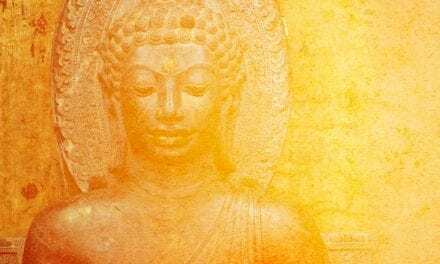 To arrive at these goals, Zen teaches essential Buddhist precepts like respect for living creatures, practicing kindness and honesty, regulating sexual passions and respecting one’s body by avoiding intoxicants and harmful foods. Other fundamental Buddhist teachings like the Eightfold Path and Four Noble Truths are also intrinsically woven into Zen wisdom. Seeing (one’s own true) nature and becoming Buddha. There’s the apocryphal story of Chinese Emperor Wu-Ti, head of the ruling Liang dynasty, who asked Bodhidharma, “What is the underlying principle of Buddhism?” The monk responded, “An enormous void. A vast sky, which accepts all beings – the enlightened and the unaware – as the same.” Wu-ti, a fervent Buddhist himself , was nonplussed. Bodhidharma left his court, realizing that China was not yet ready for his “wordless tradition”. Bodhidharma spent several years deep in meditation, to the extent that, according to one legend, his legs atrophied and fell off. Many monks found their way to him for teaching. Tao-hsin (580-651), fourth in the line of patriarchs, introduced a seminal change in the functioning of the Zen clergy. He established a permanent base, abandoning the earlier tradition of itinerant monks. Henceforth, regular work in the field and garden became an intrinsic aspect of Zen discipline. The impact of this change was far reaching – it widened the base for religious practice. It also enabled the community to become self-sustaining. Around the late 7th century, differences arose in the community as to the nature of Zen practice. The northern school, headed by Shen-hsiu, believed that attaining enlightenment is a gradual process, through the daily practice of concentration. The southern camp opined that enlightenment comes in a flash, a sudden experience of one’s inherent Buddha nature. Its leader, Hui-neng, is often considered the second founder of Zen. He rejected the scholastic, approach of the northern school, propounding that Enlightenment was an entirely personal, direct experience wherein an individual intuitively realizes oneness with the Self. The century following Hui-neng is considered the Golden Age of Chinese Zen. Ma-tsu (707-786), one of Zen’s notable personalities, introduced the koan as a vital aspect of Zen teaching, brief dialogues between Zen masters and disciples that defy logical thinking processes, and whose meaning can only be grasped intuitively. He also introduced “Katsu!”, a sudden yell that shocks the mind into enlightenment. Hui-neng and the later masters incorporated Indian Buddhist thought and Taoism into Zen teachings. Towards the late10th century, five Zen sects had come into existence, Ts’ao-tung (Soto) and Lin-chai (Rinzai) being the two most important. Rinzai was introduced into Japan by the monk Eisai and Soto by Dogen, both of whom spent many years studying in China. Rinzai emphasized meditating on the koan as the way to achieve “sudden” enlightenment. The Soto school propounded “Zazen” or seated meditation, which over time, brings lasting changes in personality and behavior. Zen Buddhism spread rapidly through Japanese society, thanks to the patronage of the Shogunate government. Rinzai teachings were favored by warriors while the Soto school found widespread acceptance among farmers and local chieftains. Dogen, the best known proponent of Soto, taught that human beings are born enlightened. Since the Buddha strove for improving mankind’s lot, all men should similarly work for their communities. He stressed on the importance of zazen as a lifelong discipline and an end in itself. In later years, Muso Soseki (1275-1351), another Zen master, became an advisor to several Japanese rulers. He influenced the sending of missions to China, thus allowing for the continued channeling of Zen influences into Japan. Since then, Zen thought has seeped into every aspect of Japanese culture, from art and architecture, to music, dance and theatre. Zen Buddhism is considered one of the most austere and exacting forms of Buddhism. One of the unique features of Zen teachings is the Zen koan. “Koan” (pronounced “KO-ahn”) is a Japanese word with Chinese origins. While koans have been connected with Chinese priests from the twelfth and thirteenth centuries, the exact beginnings of the Zen koan is not clear. A Zen koan is a phrase or short story that defies logic. The hope is that its “nonsensical” nature will stop the rational mind short. When this happens, it’s then possible for something deeper to shine through: Buddha-nature. We humans can often become slaves to our thoughts and emotions, but a koan that hits home can stop the mind’s incessant chatter. “Enlightenment” is a transcendence of the mind in a lasting way that allows our true, nonlinear selves to take the helm. In the Enlightened state, we still “have” our minds and thoughts, but we know that they are not who we are. Instead, the mind functions more like one of our sense organs to help us perceive and navigate in the world. One of the most famous Zen koans is the statement: “What is the sound of one hand clapping?” When you hear this phrase, the mind cannot immediately decipher it. The result is a cessation of thinking, and in that moment, the energy of your true, transcendent self is felt. The last Koan serve as a reminder that a quest for Enlightenment has the potential pitfall of becoming an attachment or addiction just like any other form. Koan study or koan introspection can be a valuable part of a Buddhist practice. The goal is to jolt the mind out of its usual patterns and tendencies. All Zen teachings seek to quiet the mind, not add more information or dogma. While the practice of Zen can be exacting and unyielding, its goal is the most precious jewel: freedom from (or at least taming of) the “monkey mind.” The study of Zen koans is one of many pathways up the mountain.